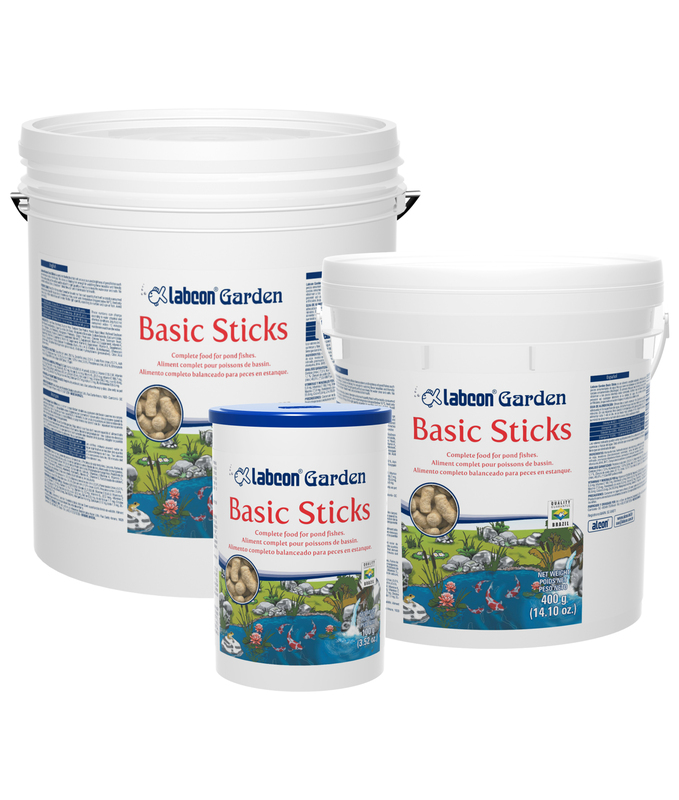 Labcon Garden Basic Sticks is a complete floating food that enhances colours and brightness of pond fishes such as ornamental carps (Nishikigoi). The sticks are floating time enough for watching these beautiful and friendly fishes while eating at the surface and to adjust the right quantity of food so to keep the water clear and safe. No contains artificial colours, thus doesn´t cloud the water and is harmless to fish health. Feed 2 to 4 times a day. Spread on the water surface such quantity that it will be totally consumed within no more than 10 minutes. In cold winter countries, when water temperature ped below 10 ºC, feed only once a day, in the hottest hours of the day. Fix the right quantity according to number and size of fish. Avoid overfeeding. These numbers can change according to water physical and chemical conditions. Any food not consumed within 10 minutes must be removed from the water. Corn Flour, Fish Meal, Soybean Meal, Textured Soy Protein, Yeast, Squid Meal, Refined Soybean Oil, Minerals (Iron Sulphate, Copper Sulphate, Zinc Oxide, Manganese Monoxide, Sodium Selenite, Calcium Iodide, Iron Proteinate, Zinc Proteinate, Manganese Proteinate, Copper Proteinate, Chrome Yeast, Selenium Yeast, Calcium Carbonate), Vitamins (Vitamin A Supplement, Vitamin D3 Supplement, Vitamin E Supplement, Vitamin K3 Supplement, Vitamin B1 Supplement, Vitamin B2 Supplement, Vitamin B6 Supplement, Vitamin B12 Supplement, Vitamin C Supplement, Niacin, Calcium Pantothenate, Biotin, Folic Acid, Choline, DL-Methionine), Ethoxyquin (preservative), Butylated Hydroxyanisole (preservative), Butylated Hydroxytoluene (preservative), Citric Acid (preservative). 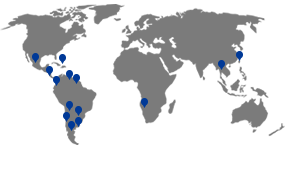 Click on the blue dot on the map to know the address of the distributor. Central de Insumos M. F.
Pet Vet - Veterinaria Safari S.A. de C.V.
Error sending the message. Try again.